Repair My Flute: Lesson "Checklist"
Teachers are surely quite familiar with this scenario: A student walks into the lesson, picks up the flute, and nothing comes out. Not a single solitary note. The student turns to you and says, "Something is wrong with my flute -- it won't play..." Hmmm...where should you start to help diagnose the problem? Well, we recently caught up with Christina Guiliano-Cobas, our Marketing Manager here at Powell. Christina has managed a studio for several years and spoke with us about a "checklist" for this common situation. 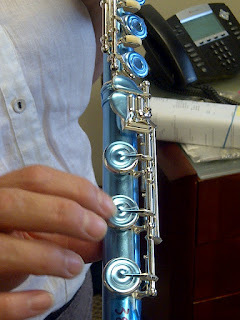 1) Dirty Tenons - The tenons on students’ flutes can become quite grimy if they are not regularly cleaned. In turn, the build-up of dirt will make the tenon and headjoint fit too tight. This tight fit could cause the mechanism to bind (the keys won’t go up and down) or over time cause the joints to go out of round. 2) Cork alignment - You'll want to check the cork alignment with the swabstick. Proper cork alignment can make all the difference. However, if the cork is too easy to move, it may need to be replaced. 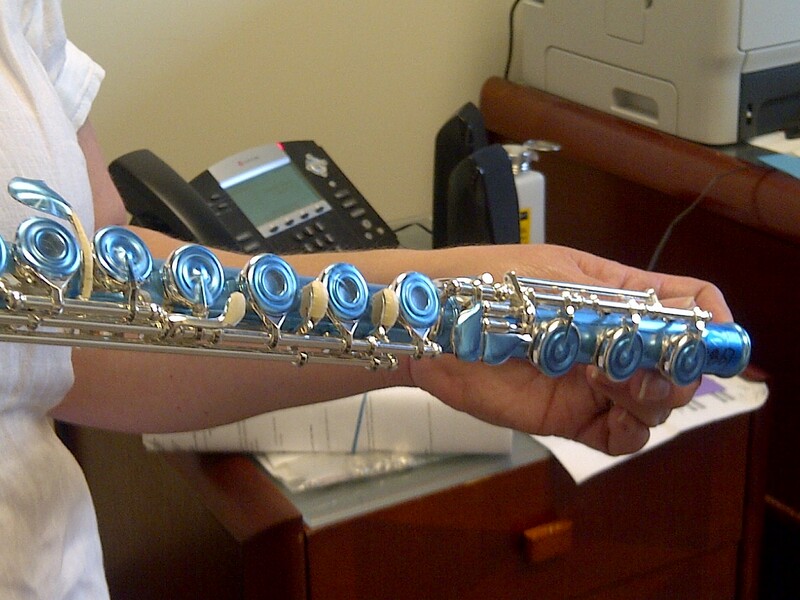 3) Leaks - Student flutes normally have felt pads, and it may be possible to detect an air leak simply with an initial visual inspection. However, this would not be possible with Straubinger pads. In the case of felt pads, if you notice a gap between the pad and cup, there is most likely a leak! 4) Spring tension - This issue could be present even if sound is produced and the student is able to play. Feel the keys to see if something is too heavy or difficult to press. In this case, the spring may be too tight, which could impact the student's technique. Obviously, the key could be too light as well, in which case the spring would need more tension. 5) Swabstick - Oddly enough, it is possible for a student to leave the swabstick or cleaning apparatus in the flute. This would certainly be detectable by a visual inspection! 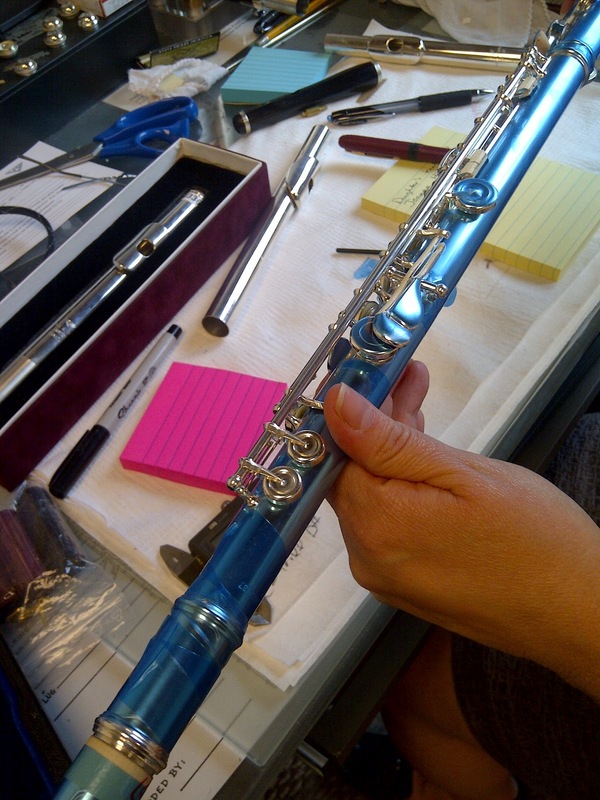 If you detect an issue that demands specialized attention -- or if you are not sure -- it's always best to contact an authorized flute repair technician. 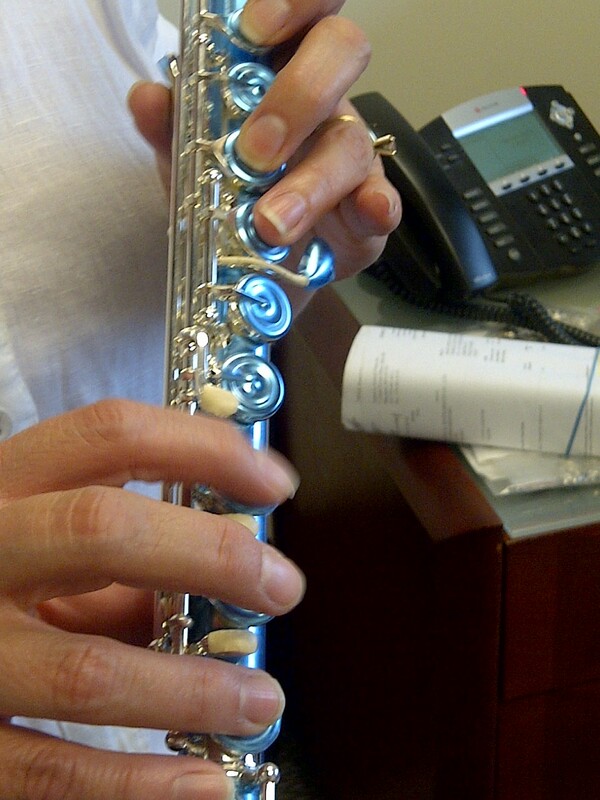 Clean, well-adjusted flutes make for happy students and teachers! Begin with an overall visual inspection - just like we do with brand new flutes! Checking for even key height. Checking the overall feel of the mechanism.